You don't have much free time for your own because your dog always demands your attention as soon as you come home? Make his daily activities more challenging, captivating and pleasant with this Innovative Half Round Chewing Dog Toy made of special rubber that is famous for its durability and long-lasting service. With this wonderful toy, your furry friend will be occupied with interesting activities for more hours, having dental massage, reducing boredom behavior and turning mealtime into a fun game at the same time. Special rubber, this dog toy is made of, is absolutely safe for your pet's health as it has no latex, phthalates and vinyl. Thus, your beloved friend will not suffer from allergic reactions, enjoying this chewing ball for a long time. The price and the quality of the product really impresses. Check all beneficial functions of this dog toy. 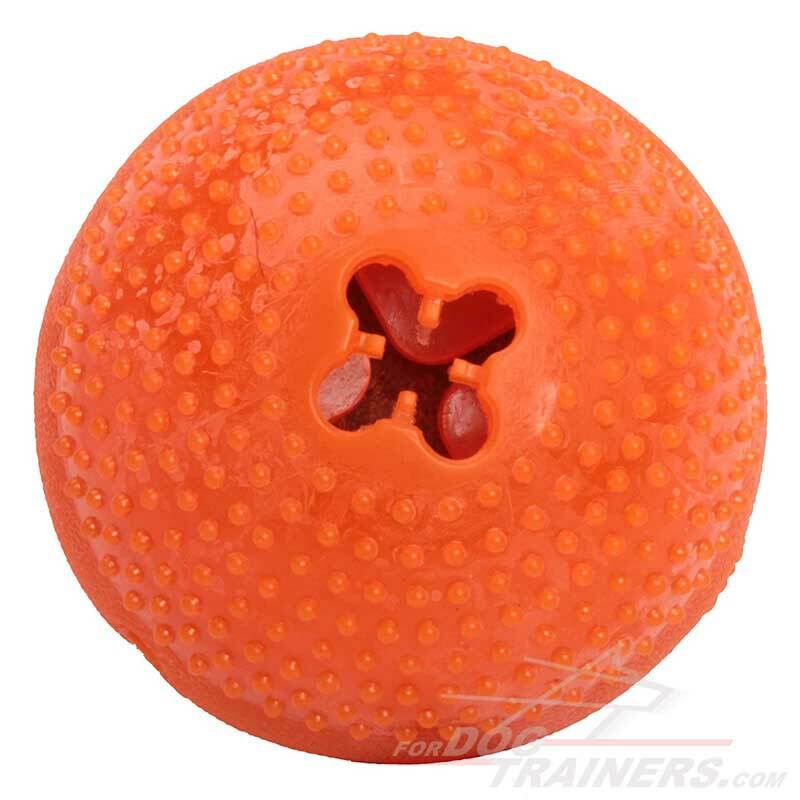 This unique dog ball is a great opportunity to get rid of your pet anxiety and boredom behavior! 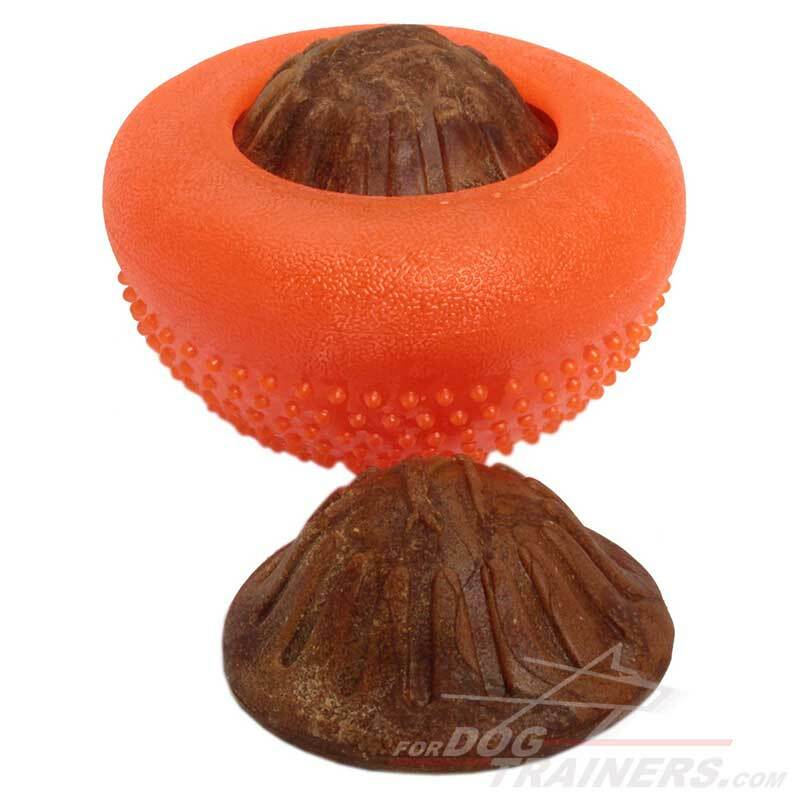 Put the treat inside the toy and just give it to your overactive doggy. The show is really funny! Rolling this item on the floor, he will be trying to take his reward out of the toy with purpose of heart. The toy can withstand dog licking, biting, gnawing and chewing, but the treat is not an easy prey. Besides, while playing with this product, your pet is provided with a pleasant and healthy teeth massage. Thus, your dog's dental hygiene will stay in a good condition for a long time. Spending much more time for taking the treat out of the toy, it will be easy for your Canine to avoid the bloating and food gulping. Overeating is not the problem any more! It is very simple to maintain this product in a good condition. Just use a dishwashing machine for washing the ball without any efforts. 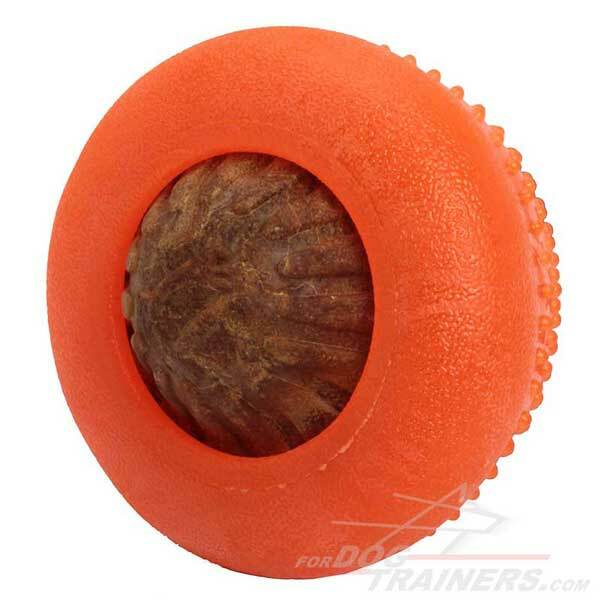 If you need tasty treats for this dog toy, get these "Stay Healthy and Active" Dog Treats. This toy goes only with one treat. 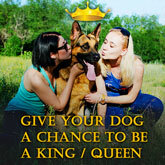 If you are searching for more treats, please, order the following product: Chewing Challenge Magic Dog Treat. If you are an owner of a small-size breed like Boston Terrier, Pug, Manchester Terrier or medium-sized canine like Pitbull, Doberman, Malamute, Siberian Husky, etc. then you'd better get small or medium size of this toy model correspondingly. Please check the table of sizes below and follow the links to get more information.